Development of Crunchbang has now stopped. There are a few community spin-offs available, Bunsen Labs and Crunchbang++. I’m now using a netinst version of Debian at home with the i3 window manager, and Bunsen Labs on my office laptop. Both are working well. I’m still using the same set of software for my work, in addition to a few more, so this post is still valid. I’ve been using Linux at home and work for over 5 months now. I’m using a Debian based distribution called Crunchbang. Over these past few months I’ve developed/programmed using multiple technologies and have gathered a collection of tools, that I use on a daily basis. Development of Crunchbang has now stopped. There are a few community spin-offs available, Bunsen Labs and Crunchbang++. Although most of what’s been written here should be applicable to these distributions, it hasn’t been tested. I’m now using a netinst version of Debian at home with the i3 window manager, and Bunsen Labs on my office laptop. Both are working well. Last Friday, I installed Crunchbang. It is a Linux distribution derived from Debian. The purpose of this post is to outline the various steps I followed to get Crunchbang ready for use. I can then refer to this post whenever I’m setting up my system again, or helping someone else set up theirs. I’ll start of with my computer specifications first. This might help people with similar hardware configuration to find a solution to their problems. Once Crunchbang is installed and you boot up for the first time a handy script starts up that allows you to update your system and installed software. This script can be invoked later on as well by running cb-welcome command on the terminal. Follow the script and install Java and the LAMP stack. It is also possible to install – Git, SVN and drivers for printer. After the script has finished, it’s time to install the graphics driver. I followed the manual method outlined in this post on the Crunchbang forums. 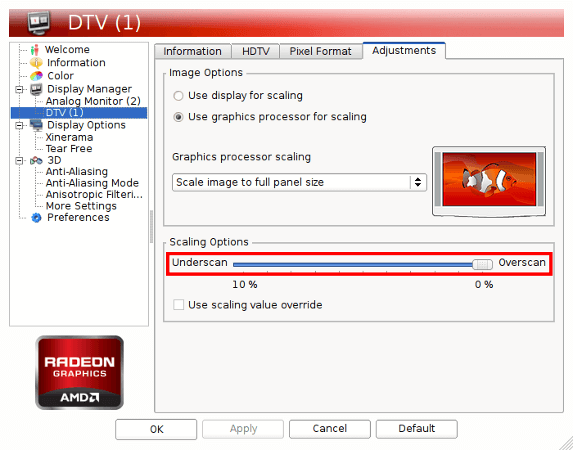 I tried using smxi to do it for me, but I think it was having trouble disabling the default Radeon drivers. Follow the exact steps, and reboot whenever advised. Okay, so driver installation is over. It’s time to set up dual monitors. 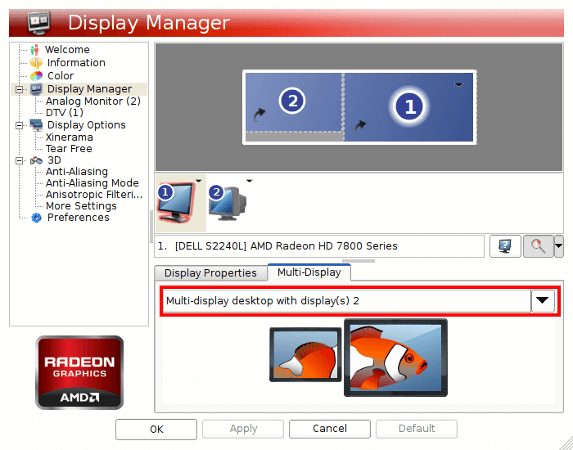 By default, after you’ve installed Crunchbang on a system that has dual monitors and an AMD graphics card, the monitors will duplicate each other. Once you’ve installed the driver you can change that setting. Fire up the AMD Catalyst Control Center by running amdcccle command on the terminal. Placing monitors in the correct order (left or right of each other) is as simple as dragging them into place. You can also change the resolution from this screen. Note that the CCC makes changes to the xorg.conf file in /etc/X11. If you don’t want to make these changes everytime you reinstall Crunchbang, just backup that file. I have a wireless Logitech keyboard. With the new motherboard the keyboard is not auto detected by Crunchbang. Installing the driver found here and then restarting resolves the issue. seems to pop up during boot. It’s basically harmless, but can be fixed by installing intel-microcode using APT. Following is a list of software I install after installing #! Use existing #! script, under the Openbox menu, Networking tab. This raises the max volume to 400%. I know the above line, doesn’t make it sound very exciting, but you really should give flux a go. Grab the binary from here. That’s the xflux daemon (command line, but for X-Windows). Add the following line to Openbox autostart file to start xflux daemon on system startup. autostart.sh determines the applications to be run at start-up and menu.xml defines the layout of the Openbox menu. Here is my current autostart.sh file and here is my menu.xml. Conky is basically a system monitor software for the X Window System. It can be extend via plugins and can be customized to show things such as weather. Tint2 is a task-bar designed to be simple and lightweight. Here’s my tint2 config file. That’s it. That’s all I do once Crunchbang has been installed. It took me about four hours hours, but with this post as a reference, next time I should be able to reduce that time to about an hour. Crunchbang is wonderful distribution that is minimalist, fast, stable and extremely customizable. It runs very well on old and new hardware. They have a helpful and friendly community. So, if you are looking for a new Linux distribution to try out, do give Crunchbang a test drive. List of software that can be installed using APT on !#.